Overall results | What Car? For the second year in a row, Jaguar has claimed the top spot in the What Car? 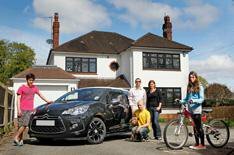 2013 UK Vehicle Ownership Satisfaction Study released today in association with J.D. Power and Associates. Lexus is placed second overall, Honda third, Skoda fourth and Mercedes-Benz fifth, Chevrolet is ranked at the bottom of the rankings, which are drawn from the evaluations of more than 16,000 online interviews of UK car owners. Land Rover is the star performer in the 2013 survey, moving up six places to take sixth place, the first time it has appeared in the top 10. Another triumphant performance from Jaguar comes hot on the heels of a record sales year. Owners gave the cars and slick customer service a big thumbs up. Despite XF owners reporting slightly more problems this year, workshop bills didn’t faze them as much. Indeed, in a trade association survey, dealers reported lower labour and parts prices. Land Rover continues its march up the ranks, vaulting six places to take its first top-10 spot. Freelander owners noted improved dealer service and less onerous overheads. Meanwhile, the Discovery gave drivers a less taxing time, with 30% fewer faults reported; in fact, the SUV led its field for reliability. Chevrolet faces a second year at rock bottom, after its new (and only) representative, the Spark, with its ‘so-so’ looks and build quality, failed to better its predecessor, the Matiz. Chevrolet faces stiff competition, and the brand no longer has value on its side. It will be hoping new models, including its baby SUV, the Trax, will boost its appeal in future surveys. Skoda’s knock-out performance comes on the back of a 20% sales increase in 2012. Not only does the Superb score a stonking victory after a three-place climb up the chart, the Yeti takes second place. Winning attributes included practicality that didn’t compromise driving appeal and prices made more affordable by Skoda’s no VAT and 0% finance offers. At last, a car to propel Citroën into the top half of the brand league. It now sits in 4th place, after its best-selling DS3 got supermini buyers’ pulses racing (more than 10,000 took one home in the first half of 2012). It also proved a joy to own, with funky styling, few major faults and low running costs. A dismal performance for Alfa Romeo as its Mito plummets 70 places to sit just one place off the bottom. Perhaps disappointed owners expected more from the Alfa badge, because even the supermini’s looks and handling couldn’t make them feel better about its poor reliability. There were 20% more faults than last year, mostly concerning the drivetrain.